Are you desperate to raise your credit score fast? It makes sense—your credit score impacts so much of your life and it takes so long to build or repair your credit history. But there’s a drastic measure few know about . . . you can actually buy someone else’s good credit history. It’s no secret that credit scores play a huge role in major purchase decisions. A low credit score can lead to higher interest rates, higher insurance premiums, and even loan denial. For the 68 million Americans suffering from bad to poor credit, the credit repair process can seem long and grueling – paying off debt, getting rid of credit cards, and creating perfect payment history is only the start. There has to be a quicker solution, right? Let’s start with understanding the term “tradeline.” A tradeline is any account appearing on your credit report. An updated tradeline is an account on your credit report that has been updated. If someone with a good credit score adds you as an authorized user to one or more of their seasoned tradelines—like a credit card—you can reap the benefits of their positive credit history. This credit repair technique is used to quickly increase your FICO score enough to gain approval on loans, negotiate better interest rates, or even have a rental application approved. Buying authorized tradelines, or “buying someone else’s credit”, is considered a loophole for those who are suffering from low credit scores. According to the Federal Reserve Board in 2010, over 33% of U.S. citizens have one or more authorized user tradelines on their credit report. Most of these add-ons come from friends and family members, but what about those who don’t have a close pal willing to add them to their line of credit? This exact scenario is why more and more companies are offering customers the opportunity to buy tradelines to improve their bad credit. You simply pay the company a fee, give your name and social security number, and they link you with someone who has good credit. This person adds you as an authorized user to one of their accounts, and the positive payment history of that account raises your credit score. If this is starting to sound too good to be true, it’s because it likely is. Although buying tradelines is currently legal, it comes with advantages and disadvantages. Credit history plays a huge role in adult life, and choosing to spend even more of your money on credit repair services is a big decision. Companies all over the internet are advertising and persuading people, like you, to partake in this service—so it’s more important than ever to do your homework. Here’s the truth behind buying credit scores and buying tradelines. Once you’re added as an authorized user to someone else’s credit account, the credit card company will report that information to the credit bureaus. The positive account information reported to the credit bureaus creates an updated tradeline, increases your credit score, and offsets the less-than-great information found on your current credit report. Although it can take up to 90 days, most banks report updated account information to credit bureaus at least every 45 days. Although you may have previously been denied credit, an increase in your credit score can give you access to home loans, auto loans, mortgages, and other credit lines. A good credit score also increases the chance of securing low and fair interest rates. You can’t have the perks of credit lines without the cold, hard truth. While not illegal, buying credit and paying for authorized user tradelines can be seen as dishonest. Creditors and lenders aim to make logical, fair credit decisions based on your credit history, payment history, and other factors. 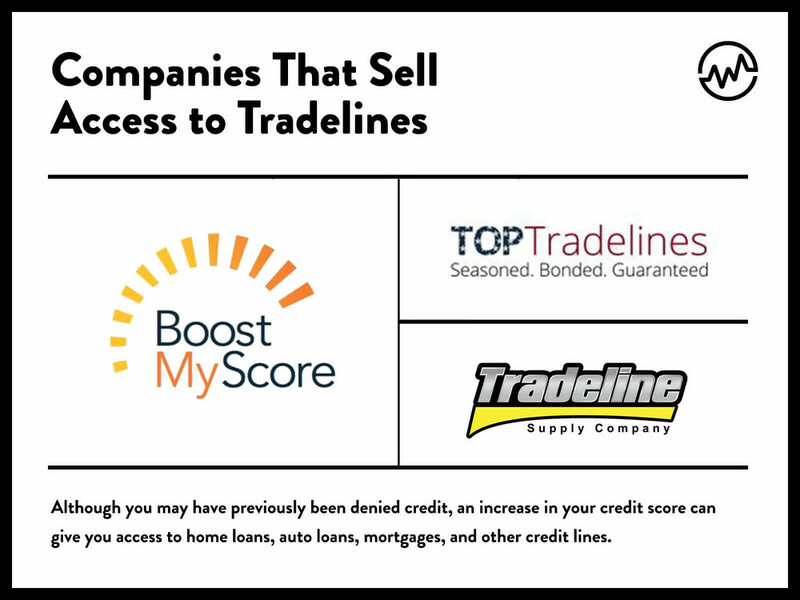 By purchasing a tradeline, you are basically telling creditors that all of the positive information about someone else is true about you. Of course, some would point out that this type of “piggybacking” for credit is done all the time. Regardless, it’s something you’ll want to consider before rushing to buy a tradeline. Companies offering credit repair services and tradelines also require the use of your sensitive information. Providing your social security number is mandatory to be added as an authorized user to someone’s account. Unfortunately, you likely won’t know the person you are giving your sensitive information to. Any time your personal information is shared, especially with third parties, there is always the risk of someone stealing your identity or using your information illegally. Using someone else’s credit as your own also has a low chance of long-term success. Even if you get approved for a loan or credit line, do you actually have the money and responsible spending habits to successfully hold those accounts? It’s important to be realistic about your credit score and habits. Buying credit can give a false pretense that you can afford things you cannot, simply because you are able to obtain approval for the loan or credit line. It would be devastating to default and hurt a credit score you paid hundreds or even thousands to increase. That being said, it’s entirely possible that your credit history does not reflect your financial choices today. You may have made credit mistakes when you were younger that are still appearing on your credit report, even though you’re much more responsible with money now. In a scenario like that one—where you feel confident you’re unlikely to repeat past credit mistakes—it makes sense to buy a tradeline. That way you have something to fall back on while you wait for the bad marks on your credit to roll off. Only you can determine whether you’re responsible enough to handle additional credit, but you’ll definitely want to ask yourself before you opt to buy a new tradeline. While there are pros and cons to any big decision, choosing to meddle with your credit score merits doing the proper research. Let’s check out a list of professionals in the tradeline arena. BoostMyScore will likely be the first, legitimate business that shows up in a Google search for companies that allow customers to buy authorized user tradelines. Launched in 2007, they were the first credit repair company to earn an A+ rating from the Better Business Bureau. Although their authorized user accounts run close to $1,000 per high-limit line, the cost may be well worth it. BoostMyScore guarantees the biggest possible FICO score increase in less than 60 days, and that promise is backed by a solid 4.9 out of 5-star rating. With a similar 4.5 out of 5-star rating, Top Tradelines guarantees a boosted credit score posted to all three credit bureaus in 30 to 60 days. Instead of buying a credit score yourself, Top Tradelines offers a free analysis of your credit report. After analysis, they recommend the best tradeline to achieve your goals at a cost close to $500 a line. This all sounds great, but proceed with some caution. While Top Tradelines does boast great star ratings across many review sites, many also claim that it is a scam or fraudulent company. Before you do business, do your research. Read their reviews on Yelp, SiteJabber, and the Better Business Bureau and then determine if Top Tradelines is worth your money. Tradeline Supply Company takes a different approach. They clearly state they are not a credit repair company and they do not provide consultations or advice. They also do not guarantee a positive impact on your credit score, although they claim this is because it is “illegal for any organization to make false claims about its ability to fix a person's credit report or credit score” under the Credit Repair Organizations Act. They do, however, guarantee that they will post to at least 2 out of 3 credit bureaus within a 7-day window. Their mission is to act as a liaison platform to connect those with bad credit to those with tradelines for sale. This ‘no guarantee’ tagline may be reflected in their 3 out of 5-star rating, although their tradelines start as low as $150. Authorized user accounts are thought of as a credit repair “hack” for those in a hurry to boost their credit scores in a couple months, rather than years. 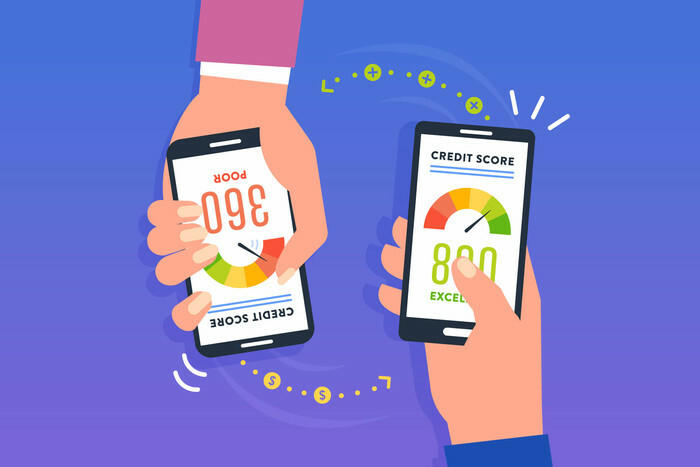 Adding yourself as an authorized user to someone’s positive credit line can increase your score and allow you access to better interest rates and loans, but the tactic isn’t without its risks. Not only will buying tradelines set you back several hundred dollars, but this strategy won’t always fool creditors and lenders—and the long-term success of buying tradelines has yet to be proven. Before taking the leap and purchase a tradeline, do your research and seek professional advice. If you are desperate to improve your FICO score, the basics of good credit will never fail you. Check your credit regularly, ask for guidance from credit and lending professionals, and work toward paying off debts and bills on time—even if that means temporarily negotiating lower payments with lenders. While this strategy doesn’t offer immediate results, it’s well worth it—your patience will pay off tenfold once you’re enjoying the perks that come with a higher credit score! Justin is the VP of Operations & Finance. He has leveraged his passion for education, entrepreneurship, and numbers into a versatile portfolio of investments which include stocks, real estate, oil & gas, green energy, real estate lending, online and offline startups, restaurants, and more. Learn a step-by-step process to build (or fix!) your credit fast with a credit card—pick the right card and use it wisely.